635 Rumson Rd, Homewood, AL.| MLS# 828588 | Richard Jacks UABLIVING.com 205-910-2297 | Birmingham AL Real Estate | Contact us to request more information about our Homes for Sale in the Birmingham AL area. 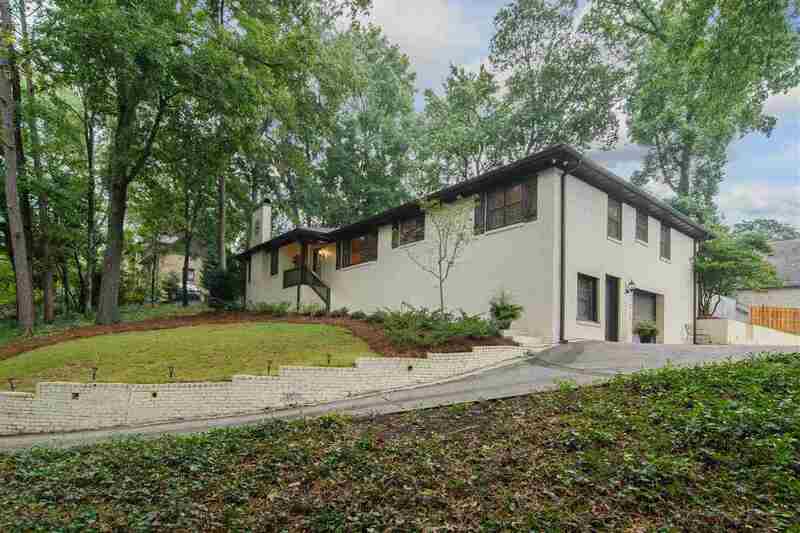 All brick 3 bedroom/3 bath home in the highly desirable Hollywood section of Homewood! The main level features a large living room, open/updated kitchen, formal dining room, guest room, full bath and a huge master suite with a big walk-in closet. There is a covered porch off the living room that has a fireplace and flat screen TV for watching the games. There is also an open deck and a stunning fenced backyard. The home has 2 living areas with a huge finished basement. The lower level has a bedroom with an exterior door, full bath, den and huge laundry room. Great for teenagers, in-laws, playroom, mancave or office. The home has a one car garage, tons of storage and a huge driveway with room for lots of cars & would make a great basketball court. Within walking distance to Shades Cahaba Elementary, Brookwood Mall, Homewood YMCA and the Homewood Shades Creek Greenway! The home is literally minutes from Samford, Brookwood Hospital and Homewood High School! Driving Directions: From Shades Creek Pkwy Turn Onto Rumson Rd. House Is On The Right.